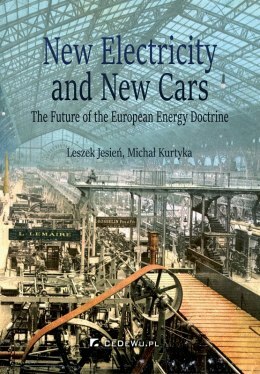 "This book offers a unique contribution to the current EU energy debate. Written from the perspective of a rapidly growing economy heavily dependent on coal, the book introduces us to the complex and contentious aspects of energy policy-thinking and policy-making. The book is written in an erudite and yet accessible manner. Students, politicians and anyone interested in Europe's future will profit from reading this book." "Electricity goes far beyond physics into economy, politics, environment, welfare, sociology, etc. The book guides the reader through the various realms of electricity. Energy is a market product, which one can buy and sell, but it could also be considered as a basic human right. It is crucial for the economy, so it could be used as a strong political weapon, more powerful today than tanks. Electricity drives major technological revolutions: the electric bulb, telegraph, radio and computers. The book argues that the next revolution - electric cars - is about to come. We just need a snow ball to initiate an avalanche. According to the authors, an avalanche may come from the Tatra mountains towards the Baltic Sea, and then it would continue throughout Europe." "This book is certainly worth reading. Affordable, secure and clean looks to be the most appropriate description of energy as Polish citizens expect it to be in the coming years. The book is the first example of a creative thinking approach to catching up with the dramatically changing energy environment in Europe. As the Energiewende is not a copy-paste scheme for all, we should only welcome the book's attempt to find the way ahead, a third way." "The book shows that starting from different energy mix boundary conditions it is possible to compromise on a common European energy doctrine that would leave sufficient flexibility to the EU member states. The proposal of electric cars is an excellent example of a project that may increase the European Union's competitiveness and fulfil environmental requirements." "A very timely, frank and straightforward invitation to real European debate on the fundamentals of the Energy Union. The chapter on electric cars is a must-read for policy makers, particularly today." Leszek Jesień - Associate Professor and Head of the Institute of International Relations and Sustainable Development at the Collegium Civitas. He holds a Habilitation Ph.D. from the Polish Academy of Sciences, and a Ph.D. from the University of Warsaw. His interests include energy policies of the European Union and Poland. Formerly, advisor to three Prime Ministers of Poland, to the Minister of the Economy, to the Minister of the Environment and to the Chief Negotiator for EU accession. He is a member of the supervisory board of Empower Energy and a former member of the supervisory board of GasTrading S.A.
His recent publications pertaining to energy problems: Enhancing system adequacy and economic efficiency in the power sector through cooperation between Poland and Germany (2016, forthcoming); The Kaliningrad nuclear power plant project and its regional ramifications (with Ł. Tolak, 2013); A Case for Common European Biomass Policy (with M. Kurtyka, 2013); The European Union Policies in the Making (2010); The Future of European Energy Security (2006). Michał Kurtyka - graduated from Ecole Polytechnique in Paris, where he received a degree in Engineering and where he studied with Prof. Jean Tirole, the Nobel prize winner in economics. He completed an internship in the National Institute of Standards and Technologies (Gaithersburg, MD), in the team headed by Prof. William D. Phillips, the physics Nobel prize winner. Dr. Kurtyka served in the Office of the Committee for European Integration, where he headed the analytical team to support Poland's accession negotiations with the European Union. Subsequently, in the private sector, he headed a number of modernization projects in a number of large Polish energy companies, including their adaptation to the requirements of the EU single market. He holds his Ph.D. in Economics from the University of Warsaw. His publications include: "From restructuration to modernization. Belated transformation of the Polish energy industry 1990-2009", and "Management of change. From strategy to action" (as co-author).